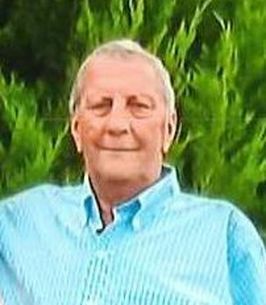 Obituary for Randall Keith Monk Sr.
Randall K. Monk Sr., 65 of Allentown passed away August 31, 2018, peacefully in his sleep at home. Randy was born January 13, 1953, in East Baton Rouge Parish, Louisiana, to Andrew and Eva Monk. He enjoyed life, making people laugh, the outdoors and going to the creek to hang out with the “guys”. Most of all he loved the Lord and his families. He will be missed by many. Survived by his wife, Catherine; brother, AJ Monk; sister, Andrea Gentile; three children, Angela Arnold, Randall K. Monk Jr., and Rosealyn Monk; and a special niece, Paula Gentile; and all of Louisiana, and his Florida Family. A special thank you to our Hospice Angels Dana and Carolyn. A heartfelt thank you to everyone that offered a helping hand during this time. To send flowers to the family of Randall Keith Monk Sr., please visit our Heartfelt Sympathies Store.